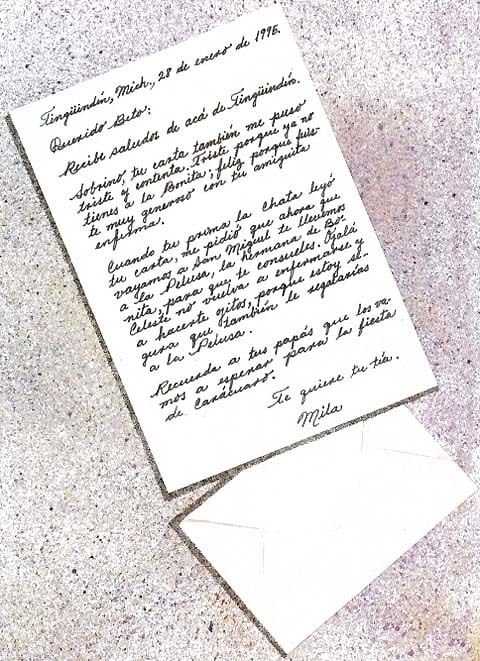 This link will take you to a chapter in the 4th grade Spanish book that deals with the information and details needed when composing and sending letters in México. The actual letters that are used are below. Read them, and do the activities that follow. ¿Por qué está triste Beto? ¿Tiene familia Mila? ¿Cómo sabes? 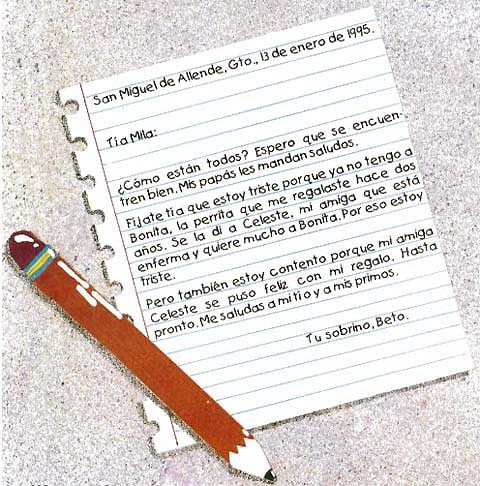 ¿Qué usó Beto para escribir la carta? ¿Por qué está triste ella? *Busca «Pelusa» en el diccionario y explica por qué probablemente se llama así. Qué van a hacer con la Pelusa? What do you think "hacerte ojitos" means? ¿Cuándo va a ver a los padres de Beto? Now go to the actual lesson (click on the title at the top of the page) and do the activities as if you were in a Mexican 4th grade class. Once you have completed the mini-lesson on cartas, go ahead and proceed with the section on «fábulas». **Sugiero que trabajen en un grupos para inventar la fábula.